Black Friday is no longer the biggest event of the retail world. Though once considered to be the day to get the best deals for the year across the retail industry, now it’s being challenged by another holiday shopping day: Cyber Monday. And it’s quickly gaining more and more ground. The reason is simple. As consumers become more and more dependent on technology, they turn towards shopping in the comfort of their homes, instead of wading through physical lines in brick-and-mortar storefronts. These online business transactions are generally known as e-commerce, short for electronic commerce, transactions which can extend beyond simple shopping to include internet banking transactions, online auctions, and online ticketing. How can a company ensure that the e-commerce side of their business is pulling in traffic, making sales and understanding the cost of each transaction? 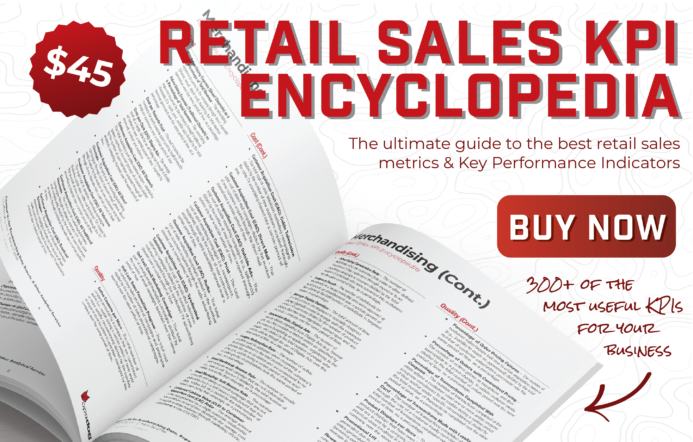 Start tracking Retail Key Performance Indicators (KPIs), for one, and using the data obtained in this manner to benchmark yourself against your competitors. 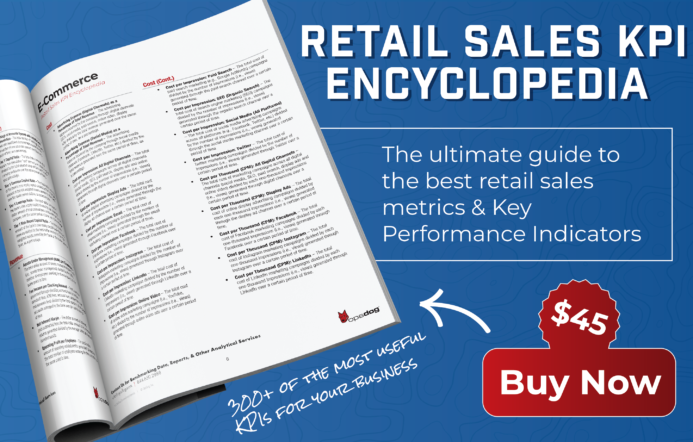 These Key Performance Indicators for the retail industry can help pinpoint problem areas within your retail sales practices, and help identify how to solve them. Keep in mind, however, that while many retail Key Performance Indicators that measure the performance of brick-and-mortar locations can be used to measure a company’s e-commerce function, e-commerce has its own specialized metrics that shouldn’t be overlooked. What are Retail Key Performance Indicators that Drive E-Commerce Performance? Retail Key Performance Indicators that drive e-commerce are defined as the quantitative values used to determine how efficiently and effectively specific goals and objectives are achieved within a retailer’s e-commerce function over a set period of time. Let’s take a look at a few retail KPI examples that focus more specifically on e-commerce, and how these KPIs can help lower expenses and boost sales. These retail performance metrics will make world of difference when you implement them into your benchmarking and business intelligence efforts. So start now! Use the Electronic Transaction Expense as a Percentage of E-Commerce Sales Key Performance Indicator to compare the expenses incurred by the retailer related to processing payments from customers, such as any fees associated with processing payments, with the total amount of sales generated through the company’s e-commerce platform. These fees can vary in cost depending on what service you use to process customer payments and which credit cards your company accepts. Use the Average Customer Order Value (E-Commerce Only) Key Performance Indicator for the retail industry to examine the total dollar value of customer orders placed through the company’s e-commerce website compared to the number of total orders made through the website. This e-commerce Key Performance Indicator is important in determining the spending habits of online customers, and which products, or services are being sold more than others. By analyzing this data, retailers can not only identify which products or services to invest in, but they can also determine how to best allocate resources for targeted advertising. After all, if you can create a profile of the highest spending consumers by using data from their spending habits, you can easily target those individuals with ads focused on other products, or services they would be interested in. Knowing your customer base can also make sending direct mailing more effective as you’ll already know the interests of your customers, and who may appreciate updates on special sales and events. To ensure that values stay high for this e-commerce KPI, make sure to keep your e-commerce website up-to-date and geared towards improving the customer experience. This involves ensuring that there are no broken links, making sure that the displayed inventory is up-to-date and is not showing items as in-stock when they are on backorder or discontinued, and improving both the navigational features of the website, and the method used to purchase the company’s products, or services. If your e-commerce website isn’t consumer friendly, then customers will become frustrated and visit competitor websites that are much easier to navigate and understand. A sleek and easy to understand website will lead to higher sales and will project a strong online presence for your company that will attract even more customers. A customer clicks on a link and navigates away after only a brief glance at the loaded page. How many potential customers are being lost this way? To understand this, first use the Bounce Rate e-commerce Key Performance Indicator to measure the number of visitors who navigate away from the company’s website after only viewing one page, compared by the total number of visitors received by the website. You want customers to be both entranced by your website, and be able to easily navigate through provided menus so they can purchase your company’s products, or services with as little effort as possible. To keep a low value for this e-commerce performance metric, ensure that the same navigational features are located across the website’s landing pages, and that the navigational features are as clear and concise as possible to prevent customer confusion. You can also go one step further by making sure that there are plenty “calls to action,” such as statements telling customers where to go or what to purchase to entice consumers to further explore the website. A high bounce rate can lead to poor customer satisfaction and interest in what is being sold, thereby reducing the overall amount of sales your company’s e-commerce website can produce. It’s slightly harder to fill up a shopping cart in a brick-and-mortar store and then completely abandon it in the middle of an aisle, than it is to abandon a full shopping cart in a digital aisle when you’re sitting in your pajamas in the living room. But both still happen. Use the Shopping Cart Abandonment Rate e-commerce Key Performance Indicator to measure the division between the number of visitors who add products to their shopping cart, but do not complete the checkout process and the total number of visitors who began the transaction process. Aim to keep a low value for this e-commerce key performance metric by simplifying the e-commerce checkout process as much as possible and ensuring that the navigation to and from the shopping cart is concise and easy to understand. This can include reducing the steps customers have to take within the checkout process, or even increasing the amount of information displayed in any one page in the checkout process. There should also be incentives to lead the customer to complete their check out, such as discounts and reduced shipping on large orders, in order to boost sales and ensure that shoppers aren’t scared off by huge unexpected costs on an already expensive order. Performing well in the online marketplace can not only generate high amounts of sales and improve your company’s digital presence, but it can even end up boosting sales in your brick-and-mortar locations if consumers are impressed by your website and driven to shopping both online and in-person. Using retail Key Performance Indicators, metrics, and benchmarks can ensure that you are getting the most out of your e-commerce website and effectively staying ahead of competitors, while boosting your bottom line. 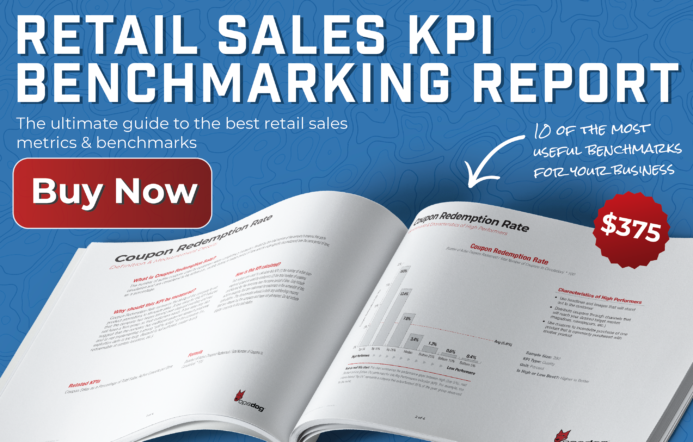 Are you benchmarking Retail Sales Key Performance Indicators? Download our Retail Sales benchmarking report here. Do you need help in interpreting just how to use e-commerce-related retail sales benchmarking data in your business intelligence efforts? Contact the OpsDog team for information concerning our Benchmarking Research and business intelligence implementation service and we’ll quickly help you benchmark your retail business and provide you with presentation-ready deliverables at an affordable price.